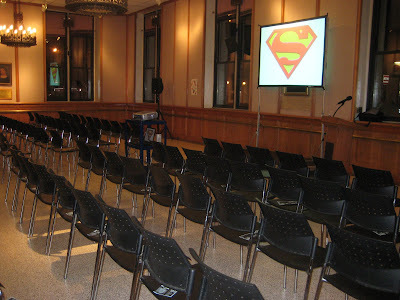 On January 13, I had the honor of giving an hour-and-a-half presentation on Boys of Steel: The Creators of Superman at the 92nd Street Y in New York City. To my surprise, the event sold out (due entirely to Superman, of course, not me). After, my host told me that we sold more books than most speakers. 7:54PM: Already starting off interesting, even though Nobleman isn’t here yet. Sightings of Eliot Spitzer and Paul Krugman — and I thought this was going to be a low-key event. 8:19PM: Ooh, he calls Superman “the” icon. Good start. 8:34PM: The first half of the book is over — now time for Easter Eggs! 9:09PM: Doubt is cast on whether or not Hitler banned Superman. Apparently Hitler banned every import, except for Mickey Mouse, apparently. Nobleman thinks the whole story is bunk. 9:21PM: Nobleman said he ended his illustrated story with Superman’s high point in 1939, not with them selling the rights. “They deserve it.” Well said. 9:32PM: Nobleman has opened it up to questions. 9:41PM: Jesus is finally brought up as a Biblical forebearer for Superman. 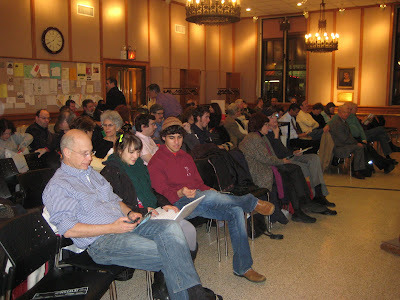 Also Jewish assimilation is discussed by another audience member. Some of these audience members are pretty adamant in this belief. Nobleman is being a pretty good sport about this, even though Zorro had a secret identity 20 years before. 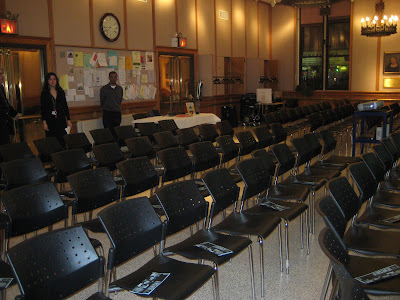 5/15/13 addendum: I spoke at the Y again, this time about Bill Finger.